Cheryl Fernandez-Versini shows off tiny new tattoo | HELLO! April 03, 2016 - 14:32 BST hellomagazine.com The singer has revealed her new heart shaped inked on her finger. Cheryl Fernandez-Versini has revealed a brand new tattoo. 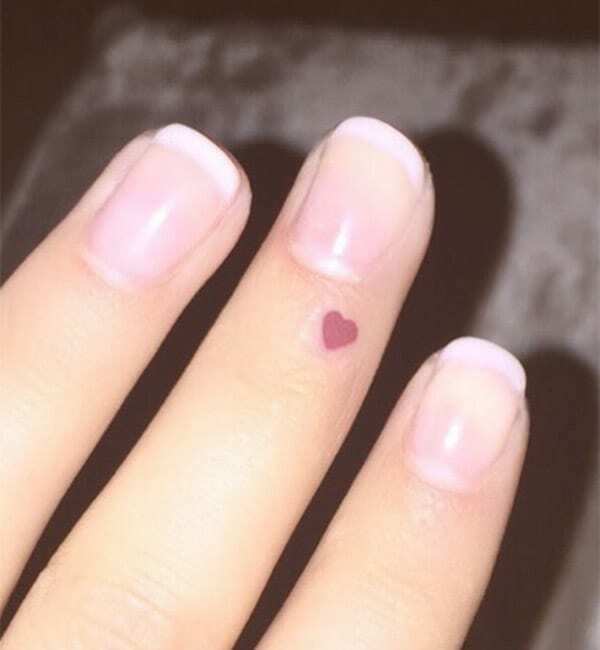 The 32-year-old opted to have a delicate heart shape inked just below her nail on the middle finger of her left hand. The popstar shared a photo of her new body ink, and captioned: "my new baby ink," accompanied by needle and love heart emojis. No stranger to tattoos, Cheryl's tiny new inking joins a tribal symbol on her hand, a 'Mrs C' tattoo on the back of her neck and, of course, the famous rose tattoo that covers her lower back. Her fans on Instagram clearly loved her new tiny tattoo, as one user wrote: "that's a cute tattoo. Bet it took 10 minutes right? ", while another wrote: "Wahh this is so pretty and I would love it!" Fans are also speculating whether the tattoo is a tribute to her new boyfriend, Liam Payne. Cheryl confirmed her relationship with the One Direction band member in March after posted a drawing of their silhouettes with the caption: "I fall in love with souls, not faces." She also shared a photo of Liam shopping for Easter eggs, writing: "Last minute Easter egg shopping at the English shop in America... as you do." Liam's ex-girlfriend Sophia Smith recently revealed that she had known that the pair had been seeing each other for a while. She told Now magazine: "It's SO weird. I knew about them a little bit ago, but who thought it would actually come out?!"